When Marissa Steen won the Symetra Tour's 2014 Eagle Classic on Sunday, she accomplished something only nine other Futures Tour golfers since 1999 have done: She won her third tour event of the season. As you can see, achieving this distinction is no guarantee of future LPGA success. But it's never a bad thing to be included in any group with Ochoa and Park. Steen had a terrific week in Virginia, shooting no higher than 68 over three rounds and finishing with a 66. She won by four strokes. Her earlier wins in 2014 were at the Friends of Mission Charity Classic and Guardian Retirement Championship. In addition to the victories, Steen also has seven other Top 10 finishes in 2014. 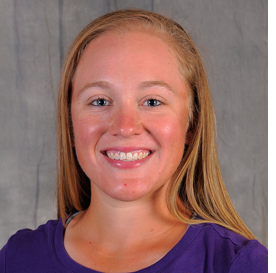 Unsurprisingly, she currently leads the Symetra Tour's Race to the Card money list. Her LPGA card via the Symetra money list is guaranteed for 2015 (although her specific ranking on the priority list is still up for grabs). And, as a 3-time winner, she now has the option to play in LPGA Tour events through the remainder of 2014 (assuming her Category 13 priority gets her into the field).